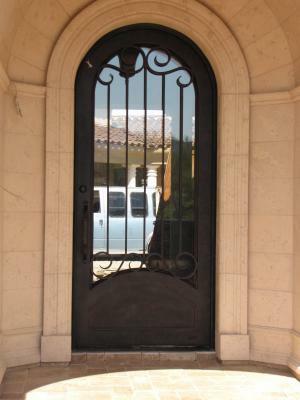 Complete your home with a customized wrought iron entry door. Your hand forged door will add to the dignified essence of your home. Signature Iron Doors leads the iron door industry and with a look at our showroom you will know why. Located in Phoenix Arizona, we are central to all the valley’s new home builders. Whether you are in need of a new look for your Queen Creek home like this family above or wanting to customize your own door for your new Fountain Hills home we will exceed your expectations. Call us and come visit our showroom to meet with our sales team and find out your iron door possibilities.